"...having the opportunity to learn under the guidance of Tenzin Wangyal Rinpoche is a priceless gift. I've found the online format, structure and length of the workshops particularly appropriate to develop and train and practice. My heartfelt thanks!..." "I've blocked myself from exploring my creative potential for most of my adult life. Rinpoche's guidance has helped me to transcend that self-imposed restriction and I am most grateful. We are truly blessed to have such a talented and compassionate teacher who fully understands the heart of the sacred teachings and is not afraid to adapt them to the modern world and the Western mind." 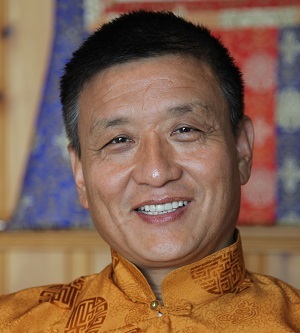 "Tenzin Wangyal Rinpoche is an outstanding teacher--I felt a strong connection with him throughout his workshops and I'm so pleased that I had the opportunity to be his student. I also want to thank everyone who made these workshops happen." "Without the light and warmth of the sun, trees and flowering plants will fail to flourish. Without awareness and warmth toward your body, you, too, will fail to flourish.". We tend to view emotional and physical pain as the enemy. 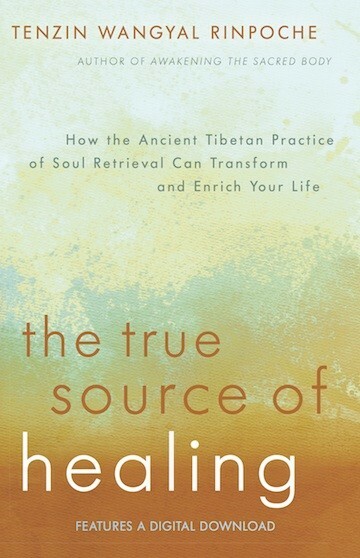 The Healing From the Source online workshop with Geshe Tenzin Wangyal Rinpoche reveals why we shouldn’t—and shows us how meditation practice can transform our own pain and sickness through the healing warmth of loving-kindness. It’s human nature to keep picking at our own physical, emotional and mental wounds. Whether we’re sick in a hospital bed or have just woken up on the wrong side of the bed, we tend to self-criticize and punish ourselves for our bad feelings. We scratch at our itches, curse at our arthritis, tug at our anger and blame our anxiety on others. We busy our minds to avoid depression. Disturbing emotions can even make us sick, or sicker. Western research has shown a powerful link between unhealthy emotions and a weakened immune system, as well as a wide variety of other physical problems. We do our best to deny or rise above pain. But we seldom give it our loving attention, simply let it be, and allow it to naturally express itself—as a loving mother would allow her needy child to whimper in her arms. If we can do this, the pain naturally lessens or even disappears, Rinpoche explains. If we don’t, physical discomfort or deeply rooted emotional pain is more likely to insist on acknowledgement. It creeps into all our actions, thoughts, and conversations. When not driving our dreams at night, it keeps us awake with racing thoughts. The three precious pills serve as the foundation of the main practice. Their healing effects come from resting deeply in the space that opens, then gradually bringing awareness to your emotional or physical discomfort. In that unconditional openness, the pain or discomfort naturally dissolves. In time you may become aware of positive qualities naturally arising within, such as loving-kindness, joy, equanimity or compassion. As you allow those qualities to mature, you can feel their warmth. Warmth is the active ingredient. You are encouraged to apply it as a "spacious, luminous, warm hug" to yourself and to the presence of the lingering emotional or physical discomfort. Your pain or illness needs this hug, and it wants it to continue. By acknowledging, accepting, respecting, and connecting through the warmth, you can feel the dissolution of any negativity, self-judgment, or self-criticism you may be harboring. Nearly anyone who has attended retreats and workshops with Tenzin Wangyal Rinpoche knows how skillfully and lovingly he guides his meditations, and how clearly and directly he transmits to others—newcomers and experienced students alike—his own, deep connection with the healing source within. His video-based online teachings are studied and practiced during normal life, so they are an ideal support for applying not only on the meditation cushion, but also throughout your workday, family engagements and personal time. Through Rinpoche’s gentle guidance and support, this workshop has life-changing implications for those who can devote time and space for its practices. It’s not just about easing pain; it’s about becoming the best of who you are. Whatever challenges or pain you face, when you go deep enough into the three precious pills, you can witness that pain dissolving into a fresh, new space. In that space, a new you emerges—one who is more relaxed, comfortable, open, clear, connected and more in touch with the spontaneous joy that comes with that connection. The Healing From the Source workshop presents a series of instructional videos that are introduced in progression throughout its three week duration. Every few days a new teaching session is introduced to course participants, allowing them to view and practice on their own schedule. Each teaching session concludes with a guided meditation, along with an MP3 audio version that can be downloaded and kept for ongoing practice. Throughout the workshop Rinpoche recommends devoting at least 20 minutes, twice a day, to meditation practice, as well as engaging in moments of “informal practice” throughout one’s day. He also encourages free use of the private, protected discussion forum where participants from around the world can share experiences in writing, discover commonality in their challenges and successes, and support each other in applying the practices.